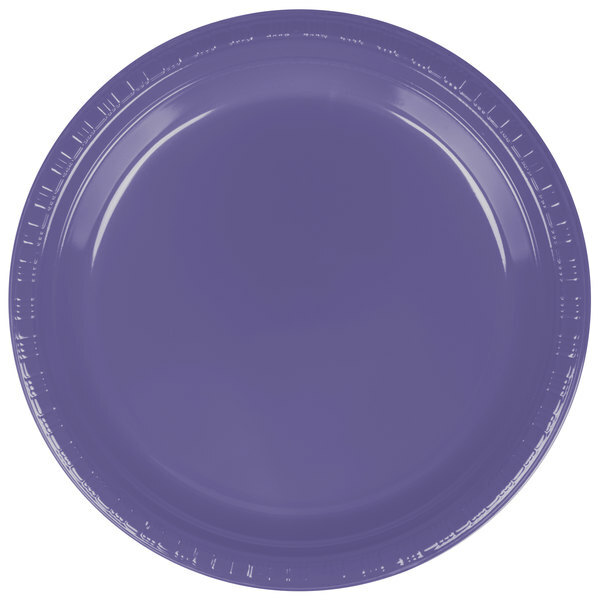 Bring color to your next picnic, reception, or catered event, with this Creative Converting 28115021 9" purple plastic dinner plate! 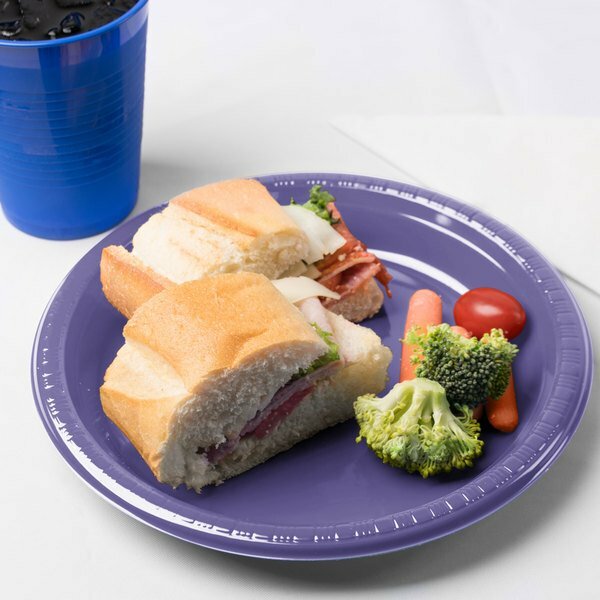 When your event requires reliable tableware, that's disposable, too, the Creative Converting 28115021 9" purple plastic dinner plate is the way to go! Featuring the look you want with the strength you need, this plate gives you the best of both worlds in a conveniently-disposable option. 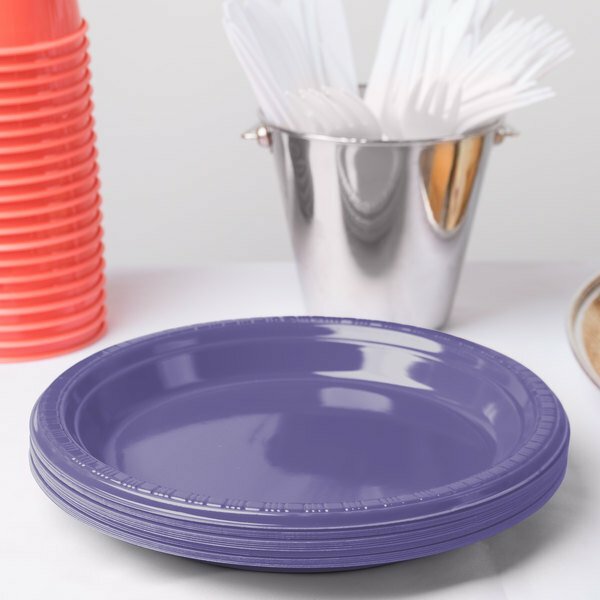 At the end of the event, simply throw it away – no dishes to wash or storage required! Made of durable polystyrene, this plate is strong enough for sandwiches with sides, pizza and potato chips, stromboli, and more! 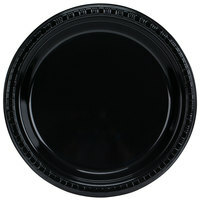 With an ample 9" diameter, it allows your guests to enjoy all of their favorite party foods in just one trip to the buffet line. With a vibrant color that's sure to draw attention, this plate is the ideal addition to themed parties, sporting events, wedding receptions, baby showers, retirement parties, graduation parties, and any other event where a bright, fun color is desired. Dress it up or dress it down – it'll effortlessly enhance your colorful decor. An embossed rim offers an eye-catching accent to this durable plastic plate, while adding structural strength and rigidity to keep it from bending under the pressure of heavy loads. 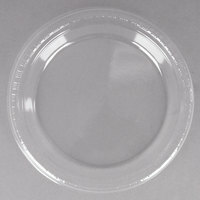 Why are the dimensions in the title different from the actual dimensions in the description? 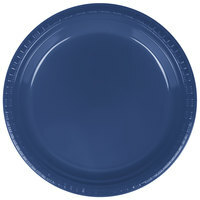 The dimensions given in the title represent an “industry standard” – a basic size that most manufacturers produce and that people in the industry use to easily identify a type of item. However, not all manufacturers produce their products the same way. 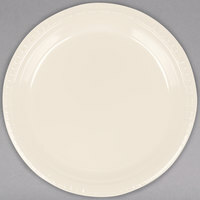 For example, a title might say 12", but the item may actually be slightly larger or smaller. We include both measurements to help you find the product you’re looking for, and so you also know how large the product actually is. 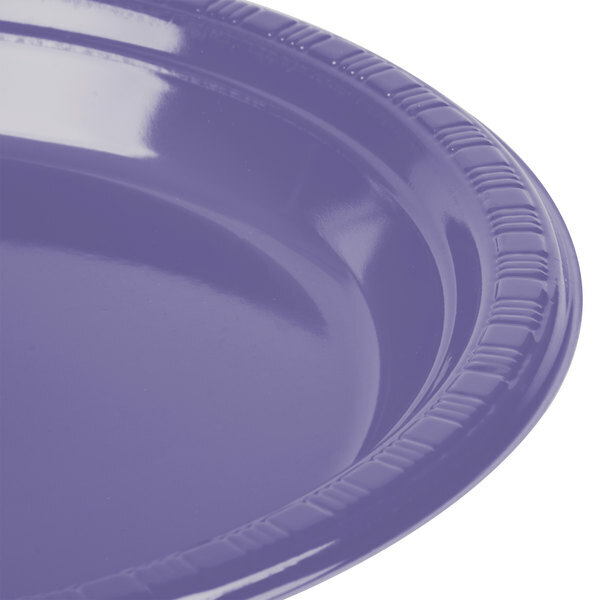 The purple disposable plastic plate by Creative Converting can be recycled. It is also BPA free. The purple color can work for many different types of occasions.